Last week’s economic releases on inflation, core inflation, and retail sales. 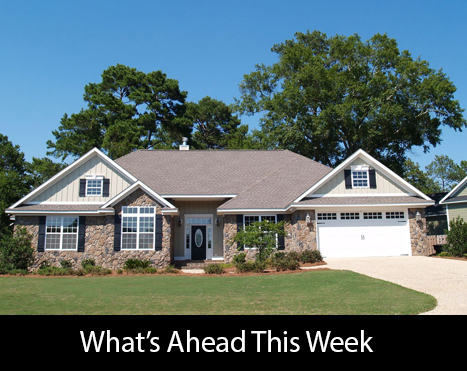 Weekly readings on mortgage rates and new jobless claims were also released. Consumer prices fell from November’s reading of 0.40 percent growth to o.10 percent growth in December, which matched expectations. The Core Consumer Price Index, which excludes volatile food and energy prices, dropped to 0.30 percent from November’s growth rate of 0.40 percent. Analysts expected a Core CPI reading of 0.20 percent for December. Retail sales were lower in December as compared to November’s reading of 0.90 percent growth month-to-month; December’s retail sales grew by 0.40 percent. Core retail sales, which excludes automotive sales grew by 0.40 percent in December as compared to November’s growth rate of 0.90 percent. Analysts expected retail sales to increase by 0.50 percent. Retail sales excluding automotive sales also grew by 0.40 percent as compared to an expected reading of 0.30 percent and November’s growth rate of 1.30 percent. Freddie Mac reported higher average mortgage rates last week with rates for a 30-year fixed rate mortgage averaging four basis points higher at 3.99 percent. Mortgage rates for a 15-year fixed rate mortgage were six basis points higher at an average of 3.44 percent. The average rate for a 5/1 adjustable rate mortgage was one basis point higher at an average of 3.46 percent. Discount points averaged 0.50 percent for fixed rate mortgages and 0.40 percent for 5/1 adjustable rate mortgages. First-time jobless claims rose to 268,000 filings as compared to 248.000 new claims expected and 258,000 new jobless claims filed the prior week. Last week’s new jobless claims. This week’s economic releases include readings from the National Association of Home Builders, Commerce Department reports on housing starts and building permits issued and a report on consumer sentiment from the University of Michigan.